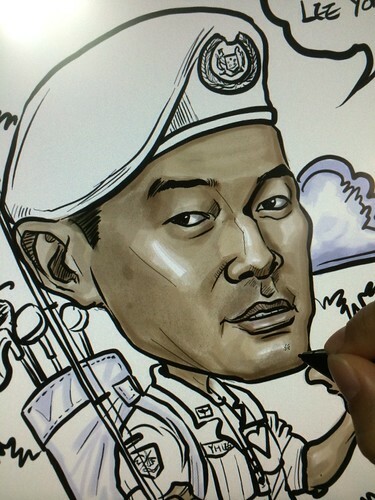 "Yong Heng is a avid golfer and likes to fish. 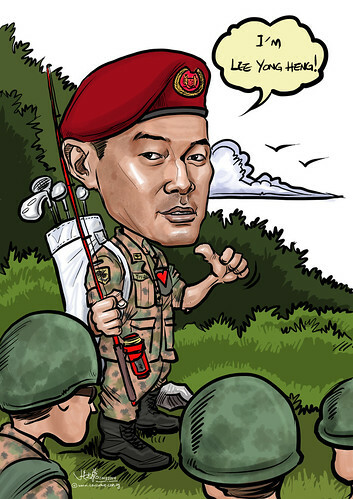 He is always thinking of the ground troops and has a "tofu heart " He is always seen wearing his red beret. He like to point to himself and proclaim " I'm Lee Yong Heng""